All bedrooms have en-suite shower/bath, desk area, modem link, wireless internet access, satellite TV with wake up call facility & in-house movies, hairdryer, trouser press & tea/coffee facilities. Onsite Car Parking - you keep your keys. There will be a charge for the shuttle service at the hotel. It will be a £2.50 per person and will be applicable to adults and children over the age of 14 yrs old. What a lovely welcome from the receptionist, explained everything fully. Car was parked right outside the front door. Room was fabulous and very quietl couldnât even hear the planes at the airport next door. Breakfast was very good and everything nice and hot! So we were well set for the day. Transported to the airport in less than 10 minutes. Everything was perfect. I always try to book this hotel. It used to be the Quality Hotel but is now Holiday Inn Express. It is very easy to find and the parking is on-site. 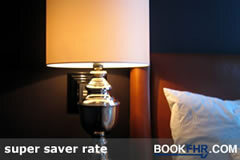 The accommodation is excellent as is the breakfast, and the cost is very reasonable. You don't hear a sound of passing planes despite its vicinity to the airport. I look forward to my next trip! Exactly as expected as we have used this service before and been satisfied. Very comfortable Hotel and parking very easy. Transfers to airport excellent! Hotel & parking was fine but a bit disappointed that moment I booked it popped up on an e-mail almost Â£20 cheaper with Essential Holidays, my only gripe! Excellent hotel with good facilities. Good service to airport. Hotel very convenient for airport, comfortable rooms and beds, Despite being close to runway noise from planes was minimal, no appreciable noise from adjacent rooms or corridors so unusually for an airport hotel was able to have an undisturbed sleep. Restaurant reasonable for late dinner and breakfast had good choice of items. Long stay car park entrance opposite hotel so again very easy to park and recover vehicle. Excellent hotel right at the airport more or less. this hotel is handy for the airport. Rooms are of a good standard but beds are shocking. They are far too soft and this means you do not get a good nights sleep. The breakfast is adequate and the staff are very helpful. Quick and efficient check in.Room very comfortable with everything we need for overnight stay.Enjoyed an evening meal and good selection at breakfast in morning.Regular bus service to and from airport and easy parking at hotel. Very fast very friendly, shuttle bus perfect. No problems at all. Hotel staff very helpful and friendly. We had another great stay here. This hotel has everything you could want and the staff are very friendly and helpful. Easy check-in and out.Friendly staff.Lovely room with good facilities.Included continental breakfast,nice selection of food and drink.Easy transport link to airport.Have already booked to stay there on our next holiday. Really enjoyed our stay here. It is always good and the staff are very friendly and helpful. Excellent service by friendly and welcoming staff. Clean and comfortable room with reliable and punctual shuttle service to the airport. Very good value. Really enjoyed our stay. The staff are always friendly and helpful. Excellent value for money. Transfer to and from the airport very quick with regular bus service. Always enjoy our stay here. Staff are friendly and the rooms are comfortable. Good breakfast and bar area. Hotel fine for overnight stay when catching flights or when coming home. Rooms have been improved which is good, clean and ample for putting your head down before you travel. Food wasn't good. My husband ordered a well done steak and it came back cremated. Onion rings were frozen. Also breakfast I have food intolerances. The only thing I could have was a banana. Not too bad choice for other travellers but very limited. If approaching from the Edinburgh side join the A8 from the city bypass and proceed towards Glasgow . From the North and West you should join the A8 at the Newbridge roundabout and proceed towards Edinburgh. Follow signs for Edinburgh International Airport. When you come off the A8 and head into the airport take the first exit left at the roundabout (Hotel signs should be visible from here). Follow road to T-junction and turn right. At the mini roundabout stay left. The hotel short stay car park is on your left, long stay is on your right. To enter collect a ticket at the barrier. On departure hand the ticket to reception and they will issue you with a token to exit.